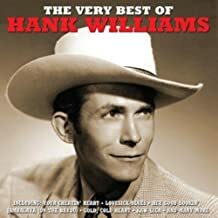 If there was anyone who could relate to people through their music it was Hank Williams Sr. He sang of true life experiences and that made his songs even more popular. His music will always be fun to listen to not to mention playing our old guitars and singing, learning to do some of the ones that were not as well known is a pleasure. On New Year’s Day around midnight in route to a show Hank passed away in the back seat of his car. What a tragedy to lose Hank Williams at such an early age. The impact his music had is unmatched and he will always be a legend in country music. Countless artists have done his music and still do to this day. We can be thankful we have a lot of his music to enjoy, even though his career was short. We have a huge collection of classic country song lyrics that we’ve collected over many years. We’re in our retirement years now and singing and playing those great old songs is still our passionate past time. We’re trying our best to promote the “real country music”, it seems to have been forgotten, modern day artists seldom give it a thought.